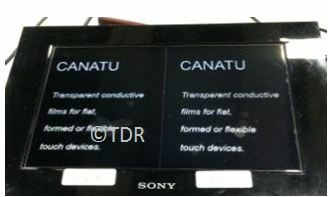 Canatu Archives - Touch Display Research, Inc.
Last month, Canatu announced it received 22 million Euros funding. One of the new significant investor is an automotive company. Today, Canatu announced that automotive investor is Faurecia. Faurecia is a France-headquartered automotive system integrator with 103K employees, and 21 billion Euro revenue in 2015. Faurecia has three Business Groups: Automotive Seating, Emissions Control Technologies, and Interior Systems. “Touch is a very natural and intuitive way of interacting and will become ubiquitous in the car interior. We are proud to have our CNB Film to be a key enabler in bringing Faurecia’s visions of Smart Surfaces and Intuitive Connectivity into life”, says the new CEO Juha Kokkonen from Canatu. “This is an important step in the evolution of our interior systems offering towards the move to smart surfaces, driven by the fusion between electronics and surface decorations. Coupling Faurecia’s position as Lead Architect of a new Customer Experience and Canatu’s unique CNB films, we are convinced that the combination will rapidly offer automotive-level solutions tailored to end-consumers’ advanced needs” explains Mr. David Weill, VP Marketing and Business Development at Faurecia Interior Systems. 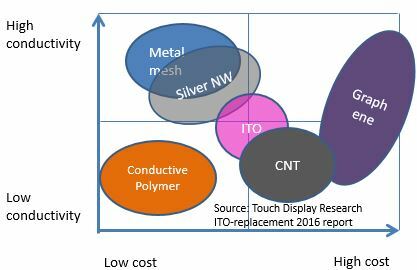 In the ITO Replacement—Non-ITO Transparent Conductor Technologies, Supply Chain and Market Forecast 2016 Report, sixth edition, Touch Display Research analyzed over 240 companies and research institutes working on advanced transparent conductive (TC) materials. The report provides a detailed analysis of metal mesh, silver nanowire, carbon nano tube (CNT), conductive polymer, graphene, and other technologies. 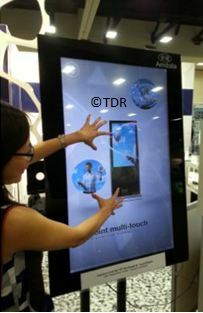 Touch Display Research forecasts that the ITO-replacement market will reach $13 billion by 2023. In the recently published “Automotive touch, display, ADAS and touchless HMI 2016 report,” Touch Display Research Inc., analyzes automotive touch screen, display, ADAS (Advanced Driver Assistant System), and touchless human-machine-interaction (HMI). More than 500 companies working on automotive technologies are profiled in the report, which includes over 100 automotive companies, over 200 touch screen companies, over 200 touchless human-machine-interaction (HMI) companies and about 30 display companies. The automotive industry’s adoption of new technologies has accelerated in the past couples of years. More and more touch screens and displays are integrated in the automobiles for better infotainment, intuitive control, and safety. This entry was posted in Displays, ITO replacement, Touch screens and tagged automotive, automotive market, Canatu, Carbon Nano Tube, display, Faurecia, ITO Replacement, market forecast, Touch screen on September 30, 2016 by jennycolegrove. I’m at the beautiful San Diego, California now for SID 2014 DisplayWeek. The No. 1 trend at this year’s SID is: ITO-replacement. The No. 2 trend is quantum dot. (I’ll blog about quantum dot tomorrow). Over 10 companies showed ITO-replacement at SID 2014. Some are in the exhibition floor, some showed us through invitation-only meetings. Canatu showed their Carbon Nano Bud type transparent conductor. It won SID silver award due to its low haze, low reflection, and flexible character. The picture here is the side by side comparison of CNB film with an ITO film. Source: Canatu, photo by Touch Display Research, June 2014. Another ITO replacement I like at the DisplayWeek is the Cima Nanotech and Amdolla’s 42” projected capacitive touch screen. Source: Cima Nanotech, photo by Touch Display Research, June 2014. In the recently published ITO-replacement report, 3rd edition, Touch Display Research profiled over 220 companies and research institutes working on ITO-replacement. Touch Display Research’s survey found that even with some metal mesh companies’ disappointing progress, the overall adoption of ITO-replacement is accelerating. We forecast the ITO-replacement market will grow rapidly from 2014 to 2021. This entry was posted in Displays, ITO replacement, Touch screens and tagged Canatu, Carbon Nano Tube, Cima Nanotech, ITO Replacement, SID 2014, Touch screen, transparent conductor on June 4, 2014 by jennycolegrove.